Custom Carabiner Hand Sanitizer Personalized in Bulk. Promotional, Inexpensive, FDA approved. 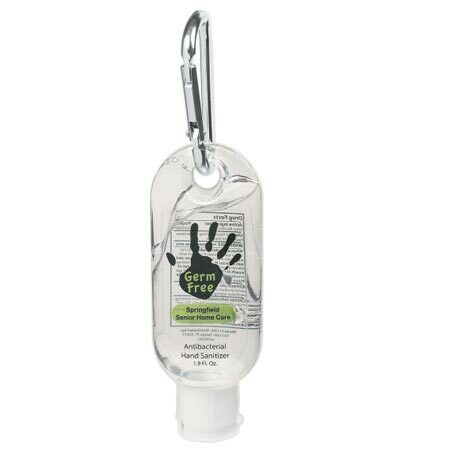 Custom Carabiner Hand Sanitizer Personalized in Bulk in Full Color, or Blank. Promotional, Inexpensive. Budget Prices in the USA and Canada. 1.9 oz. FDA approved.